Being a dog owner is a big responsibility, one that doesn’t end with your pet. It extends to the people who live around you. An owner who fails to keep his dog under control risks angering both friends and neighbors and, in some cases, may even place you in violation of the law. 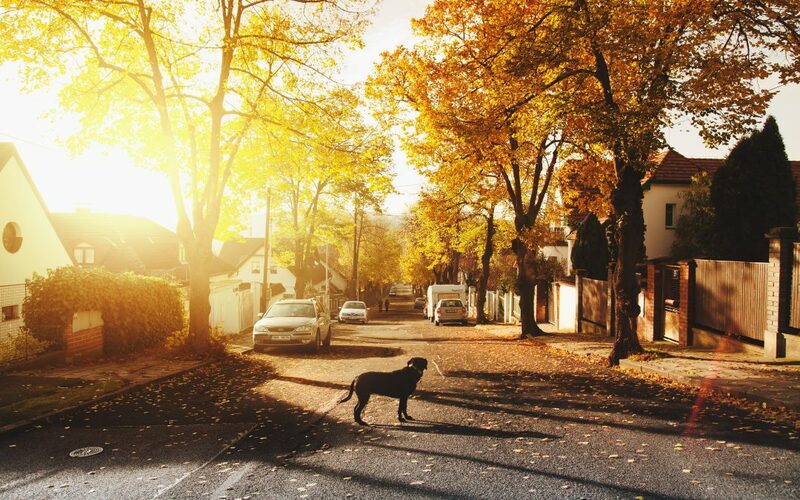 Being considerate toward your neighbors doesn’t mean you have to keep your dog under wraps or deprive him of fresh air and exercise, as long as you observe a few essential rules of dog etiquette. Most of these rules should be fairly obvious and, in most cases, amount to little more than common courtesy. Unfortunately, there are people who don’t bother to clean up after their pets or keep them quiet in the middle of the night. Remember that owning a dog is a privilege, but it doesn’t give one the right to ignore obligations or regulations intended to keep dogs – and their owners – under control. Letting your pooch bark at 4 a.m. without attempting to control him is not the way to win your neighbors’ affection. Unfortunately, many dog owners don’t understand how disruptive and annoying it can be for people who are just trying to relax or get some sleep. Admittedly, it can be difficult to train a dog not to bark. It’s human nature to yell at a dog when he’s barking, which is a mistake – your pet will just think you’re barking along with him. A better approach is to work on distracting him when he’s barking, to redirect his attention with a treat or some other stimulus if he just won’t stop yapping at the mailman, the pizza delivery guy, or the neighbors’ dogs. You can try separating your dog from the motivation to bark, or try and teach him to get used to the commandto be quiet. If it’s just not working, you may need to take your pet to a professional dog trainer. One thing your dog can always be relied on to do is relieve himself … whenever and wherever. Unfortunately, sometimes that means on the neighbors’ lawn. Most communities these days have laws about not scooping up your pet’s waste. It is, after all, unhygienic and highly inconsiderate of the people you live alongside everyday. Nevertheless, it’s a persistent problem in many cities. It’s not unusual to see someone armed with a plastic bag and scoop conveniently look the other way when Rover does his business right next to someone’s mailbox. Take the time and effort to clean up after your dog. Take along several bags (thereby relieving you of the excuse that you ran out of bags), especially if you and your furry friend live in an apartment or condominium community, many of which use DNA testing to determine whose dog has been up to no good. Leash laws are quite common these days, and for good reason. Letting your dog run free in public places is a really bad idea and it’s sure to earn you someone’s enmity. Remember that not everyone’s a dog lover, and some people get very nervous about a dog running at them, even if it’s with the intention of being friendly. Letting dogs off the leashis a good way to get them run over or injured in some other way, and unleashing a dog in a neighborhood or public park will probably cause someone to file a complaint, so keep Fido securely leashed. Bear in mind that there are many dog parks that offer an enclosed space where your pet can run around and socialize with other dogs. Most dogs thrive when they’re able to get outside and run around in the backyard. However, that can be problematic if your yard isn’t fenced in. Do your neighbors and your dog a favor by having a security fenceinstalled around the perimeter of your yard. This can be done at a cost of $1,643 to $3,857. Dog owners tend to be proud and protective of their pets. Sometimes, that pride comes at the expense of common sense and courtesy. You’ll earn your neighbors’ appreciation and keep your dog off their public enemy list by observing the rules of dog etiquette.